While liberals have expressed outrage at Ms. Clifford’s allegations, many conservatives in this district west of Phoenix say that her statements have done little to change their view of the president, or of candidates like Ms. Lesko who support him. “I feel bad for Trump,” said Sandi Caskey, 78, a retired General Motors employee who on Tuesday was bowling with church friends. Ms. Clifford told “60 Minutes” that she struck a $130,000 deal for her silence in the final days of the 2016 presidential campaign. She is now suing Mr. Trump in order to be released from a nondisclosure agreement she reached with his lawyer. The Arizona race pits Ms. Lesko, a state legislator for a decade, against Hiral Tipirneni, an emergency room doctor and political newcomer who is among the women driven to run for office after Mr. Trump’s election. Ms. Lesko and Ms. Tipirneni are vying for the seat of Trent Franks, a Republican who left Congress last year after he was accused of offering $5 million to an aide to be a surrogate mother. The election is the first major race of the Trump presidency in which both candidates are women. Election Day is April 24; early ballots go out this week. Still, the Republican National Committee is spending about $280,000 to bolster Ms. Lesko, a sign, Democrats say, of Republican concern. Ms. Tipirneni, who said she believes Ms. Clifford’s claims, has criticized Mr. Trump, calling him a poor role model. 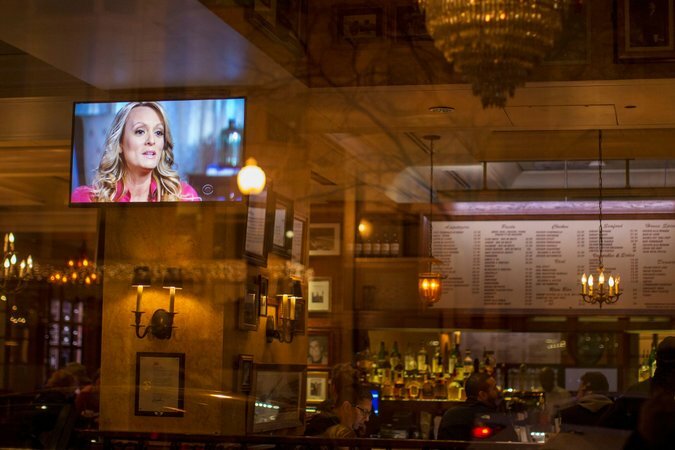 An interview with Stephanie Clifford, the pornographic film star known as Stormy Daniels, was shown on a TV in a Washington, D.C., bar. But later, in an interview at her home, she said she had misspoken. At the bowling alley, Kathe Wilson, 67, an accountant, said that she had watched Sunday’s “60 Minutes” interview and believed much of what Ms. Clifford had said. But she said that it would not sway her from Mr. Trump or Republican candidates. Arizona’s Eighth District is 41 percent Republican and 24 percent Democrat, with 35 percent independent or otherwise affiliated, according to recent numbers from the secretary of state. While Ms. Tipirneni is pushing to become the next big upset, political strategists note that there are differences between this district and Pennsylvania’s 18th, where Mr. Lamb won this month. Hiral Tipirneni, the Democratic candidate in the Arizona House race, hopes to follow upsets in Alabama and Pennsylvania with one of her own. But not everyone is sticking by Mr. Trump, or by Republican candidates. 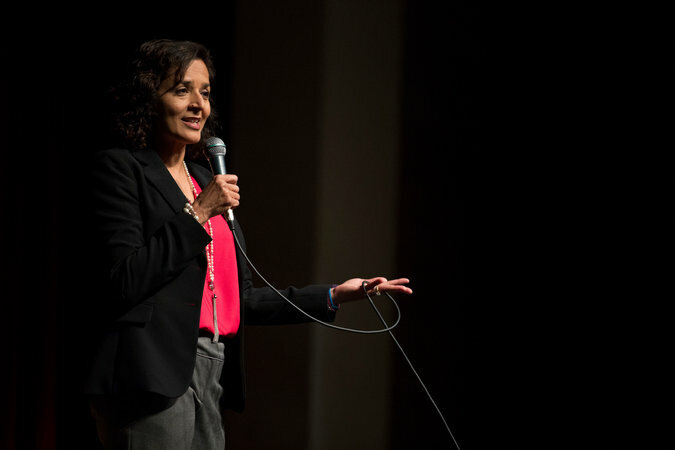 On Tuesday night, at least 200 people came out to a high school to listen to Ms. Tipirneni, who spoke of her support for a public health insurance option, “common-sense” gun control, and robust funding for Social Security, Medicare and Medicaid. Among those in the crowd were Greg Newman and Robyn Kramer, independents who had come to support Ms. Tipirneni, with their daughter, Ellyana, 9. Among the many factors that swayed him, he said, were the allegations of sexual misconduct against Mr. Trump.